What??? Did I read the price right???? Yes and Start Packing!!!! Don't miss out!! Spacious 3 bedroom 2 full bath Condo. 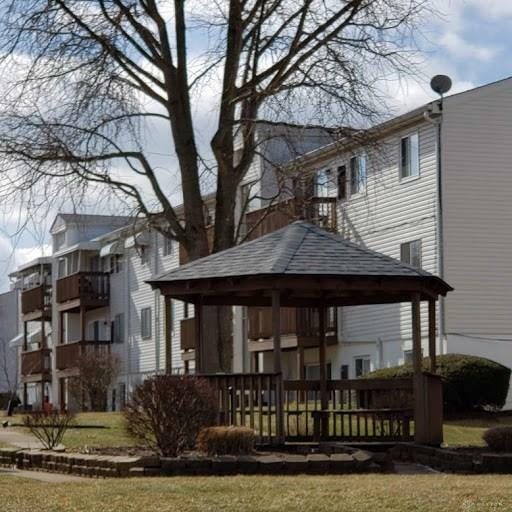 Located on the third floor w/views overlooking the green space and playground. Condo fees include: water, gas (heat), party rm(bring balloons), indoor pool(bring your bathing suit), tennis courts(bring your tennis racket), basketball courts(Yep bring Wilson too), trash, hazard ins., Snow removal*, washer & dryer in the building/you can modify bath and have your washer& dryer in you unit if you wish. With your finishing touches this condo could be beautiful. Listing provided courtesy of Jennifer J Durbin of Irongate Inc.. © 2019 Dayton Area Board of REALTORS® MLS. Information Deemed Reliable But Not Guaranteed.